Health is the largest fortune in the life, however, family is the destination and heaven of heart. The family's health and joy are the largest happiness. Therefore, taking care of both you and your family's health is the starting point of Funcare’s establishment. Since its establishment in 1992, Funcare has been developed for 25 years. Adhering to the enterprise spirit "Health Science and World Trust" and taking brand-new biomedical science asfoundation, clinical and scientific evidence as core, and preventive medicine as concept, Funcare seeks to develop medical equipment, low-frequency therapeutic equipment, health supplementary food products, external medical products, beauty care and health food products, continuously takes consideration from the standpoint of the demanders, and never hastily releases any product before it passes internal high standard, strict safety and effectiveness inspection at all levels. Once the product is released, it must be safe, moderate and effective. Quality is the enterprise's dignity as well as its responsibility to the society. For decades, Funcare has been guided by such concept and spirit to make every effort to research more health products and provide better health care to customers. From the low-frequency therapeutic equipment at the beginning, to Burner which guarantees your weight management and Ido which brings health and beauty for you, Funcare not only considers how to actively meet the customers' all kinds of daily demands, improve life quality and spiritual satisfaction, prevent them from illness, and maintain health and longevity, but also expects every user can experience Funcare's delicate consideration and diligence to provide better health to your family day by day! Besides the persistence on health, Funcare spares no effect on public welfare. We deeply think the value of an enterprise is not the amount of profits, but a grateful heart to deliver love and warmth to people in need, continuously return the society and achieve a good circulation.Therefore, we never stop the donation to public benefit activities and continuously consider what we can do for others. Furthermore, we greatly value the land breeding us. We adopt the recycling and reusing materials and the environmental printing method of soy ink in the packaging to reduce the burden to environment as far as possible and achieve the ideal state of green circulation. We attaches great importance to the customers' health and feelings, the enterprise's feedback and gratitude, and protect the land to guard your health with strictest standards and most scientific methods.We are greatly proud and deeply believe that the best way to your health is to start from the basis, take care of the earth and land, and choose the correct bridge, and in this way, your body shall naturally reward you. We greatly appreciate that you join hands with Funcare to walk through over twenty years, and we promise to make every effortwith you to stride forward the next healthy twenty years! The Funcare nutrition, research and develop team along with over 101 medical doctors from Japanese medical institutes have collaborated to develop health care products and medical equipment suitable for Asians. Moreover, all of Funcare’s products have been clinically tested and confirmed in many countries. Funcare is also recommended by over 200 hospitals in Japan. In light of the rapid increase in national income, increase in average life span and the gradual aging trend in age structure, chronic diseases have become the greatest threat to modern people. In 2008, in the NT$125 billion cost expenditure of the National Health Insurance, the cost expenditure for the “three highs” (high cholesterol, high blood pressure, high blood sugar as a result of obesity) was NT$32.3 billion, taking up 25% of the annual cost expenditure of the national health insurance. For this reason, Funcare incorporated a modern preventative medicine concept using “health science, global trust” as the core value of its brand. Funcare aims to develop an extensive range of nutritious health supplement products to provide the entire family all their health needs and to significantly reduce the burdens of life. With the high-quality raw materials strictly selected from Europe, the United States, Japan and other places, and the use of patented raw materials extracted from large GMP-PIC level pharmaceutical companies, Funcare’s products are certified by the U.S. FDA’s GRAS as a safe food product and further inspected by the SGS Taiwan. Results have confirmed that no heavy metal residuals, contamination, or 112 types of western medicine and diet pill ingredients are present, thereby providing consumers with safe health food products. 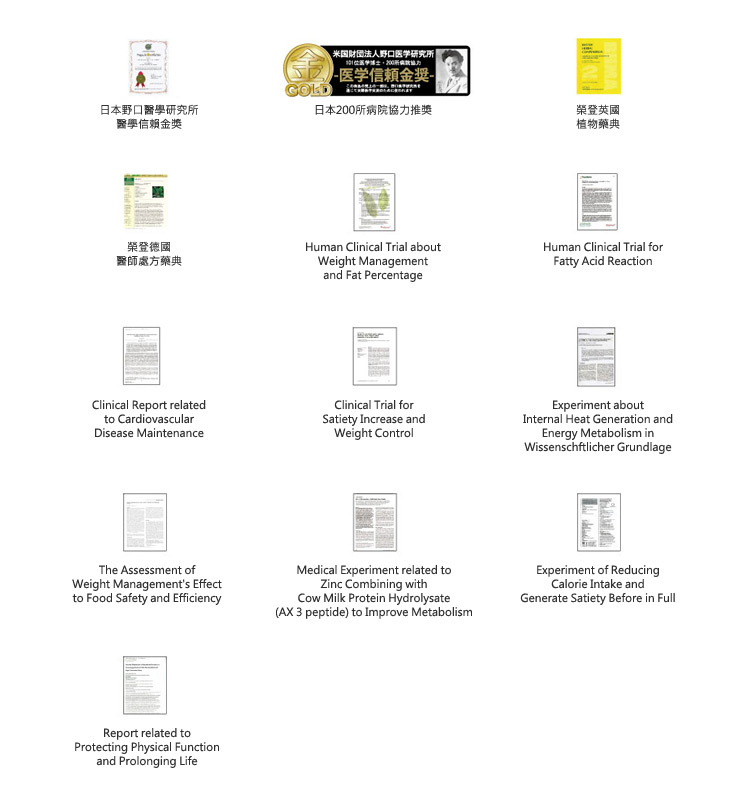 funcare product collections have gained plenty of honorable recognition such as the “Japan Noguchi Medical Research Institute Trust Award”, "Japan Noguchi Medical Research InstituteQuality Award", “Department of Health Award for Good Manufacturing Practice”, “No. 1 Ideal Brand” for weight loss by Shape Magazine, “Best Body Product" voted by BODY magazine and "Best Seller of Watsons Health,Wellness and Beauty Awards" etc.Funcare products have also won more than 143 international certifications including EMPT (Obesity Therapy Association) Effective Certification Recommendation”,“Global Human Body Safety Test”, “ISO9001, ISO13485 International Medical Equipment Quality Dual-Certification”, US Food and Drug Administration, Department of Health, Taiwan Executive Yuan, Japan Department of Health and Welfare, and CEO0434 EU Certification etc. In its operating areas, Funcare periodically holds charity events and provides immediate assistance when damage is caused by unexpected natural disasters.